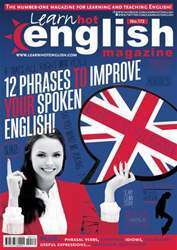 Digital Subscriptions > Learn Hot English > 172 > How to end a meeting! There are lots of different ways to end a meeting. In this lesson, we’ll be looking at three meetings and how they come to an end. What makes a successful meeting? Write one or two more ideas for each of the two categories below. People contributed with ideas. Everyone listened to other people. The chairperson seemed to be in control. Not many people contributed. Participants weren’t paying attention. Everyone seemed pleased that the meeting was over.